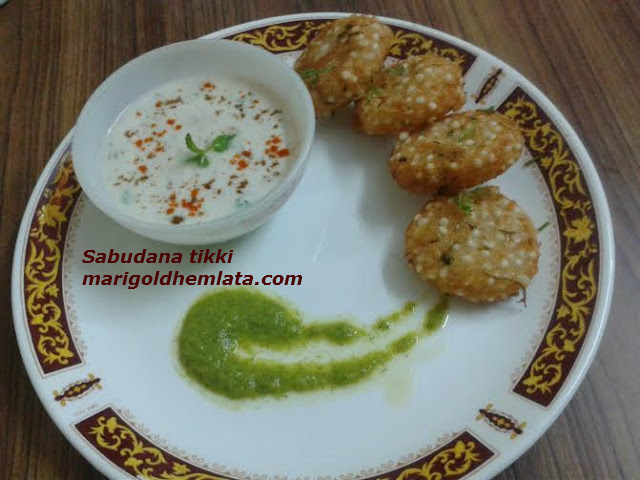 sabudana or sago tikki a very delicious Indian snack deep fry recipe, that can make during fasting days like navratri/ ekadashi. It is crunchy on the outside and soft inside. It is crunchy on the outside and soft inside. 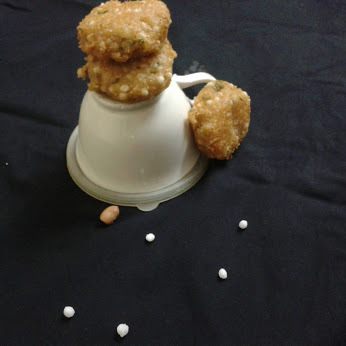 Which made with boiled potatoes, soaked sago pearls, crushed peanuts and salt. Soak the sabudana for 4 hours at least. Mash the potato, coarsely grind the peanuts. Now mix the sabudana with mashed potato,salt,red chili pwoder, coriander leaves, coriander powder, dry mango powder, lemon juice, green chili and peanuts. Mix well and make thick mixture. Make the tikki with this mixture, heat the oil in a pan and golden fry the tikki on slow heat. 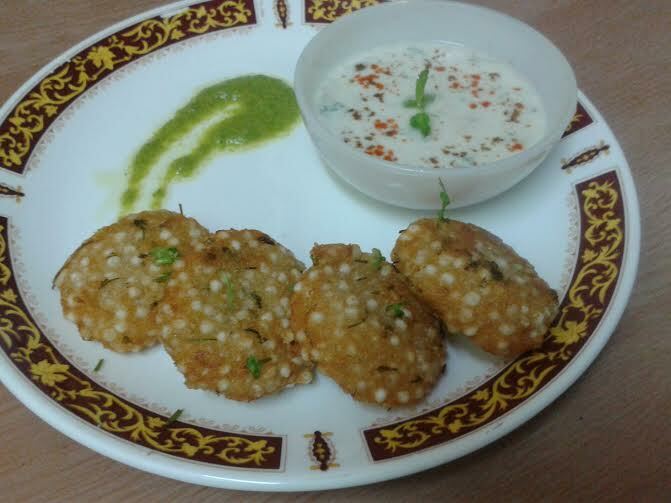 Serve with curd and green chutney .